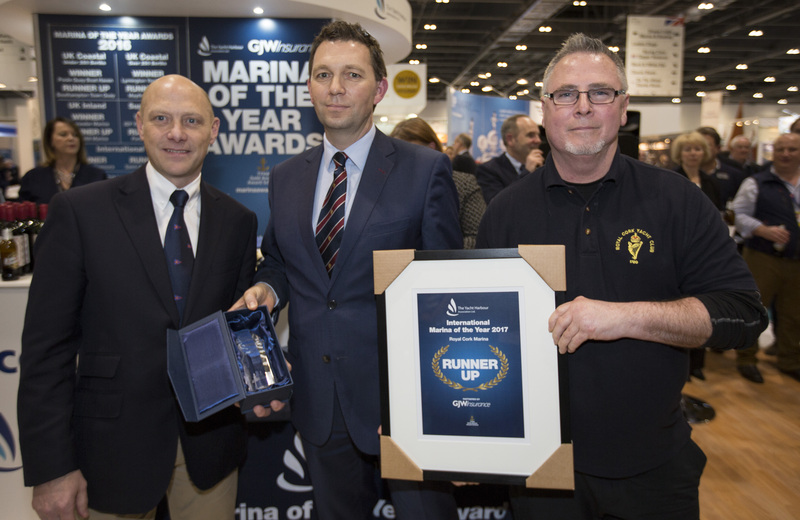 The Yacht Harbour Association (THYA) announced the winners of its prestigious Marina of the Year Awards, with proud sponsors GJW at the 2017 London Boat Show. Now in its fourth year, the Awards recognise the best of more than 160 Gold Anchor accredited marinas from around the world. The winning marinas are voted for by their berth holders in the International, Superyacht, UK Coastal and UK Inland categories. The Royal Cork Yacht Club achieved second place in a strong international field and were just pipped to the post by the Karpaz Gate Marina, located in northern Cyprus. This year saw the launch of the accolade Marina of Distinction. This honour distinguishes a marina with over three consecutive years of continual customer service excellence, as voted for by its customers in the Marina of the Year competition. To qualify, marinas must rank a category finalist over three consecutive competitions. On the third year, they would automatically receive the title of Marina of Distinction. To commemorate their achievement, winners and runners up of the Awards, as well as receivers of Marina of Distinction, were presented with laser etched glass trophies and framed certificates by David Perfect, Managing Director of GJW, and Sarah Hanna, Chairman of The Yacht Harbour Association. Jon White, General Manager of The Yacht Harbour Association, commented: “A huge congratulations to all the winners, runners up and all marinas who were voted for in the 2017 Marina of the Year competition. The array of marinas who stood out in this year’s competition showed how strong the today’s marina industry is at achieving, and in some cases exceeding, the modern consumer’s standard of quality service and excellent facilities.